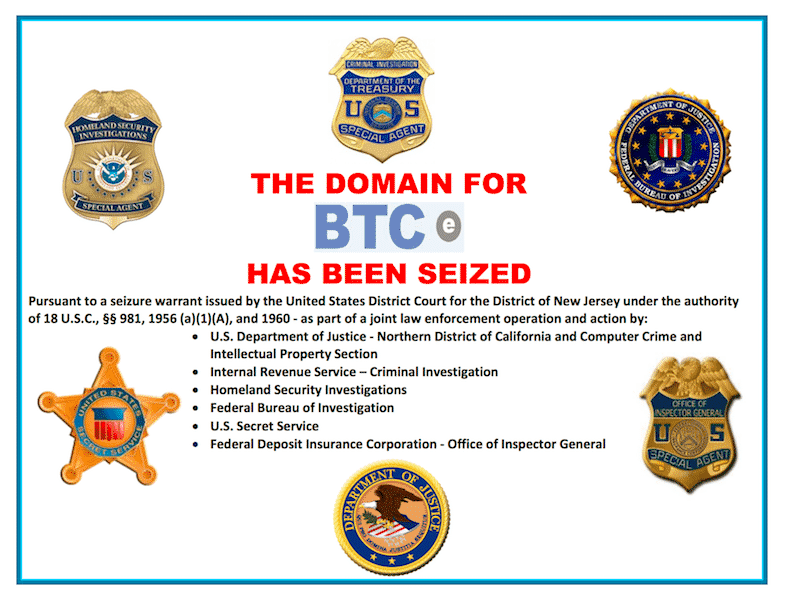 btc-e.com now displays a message from American law agencies that the domain has been seized. 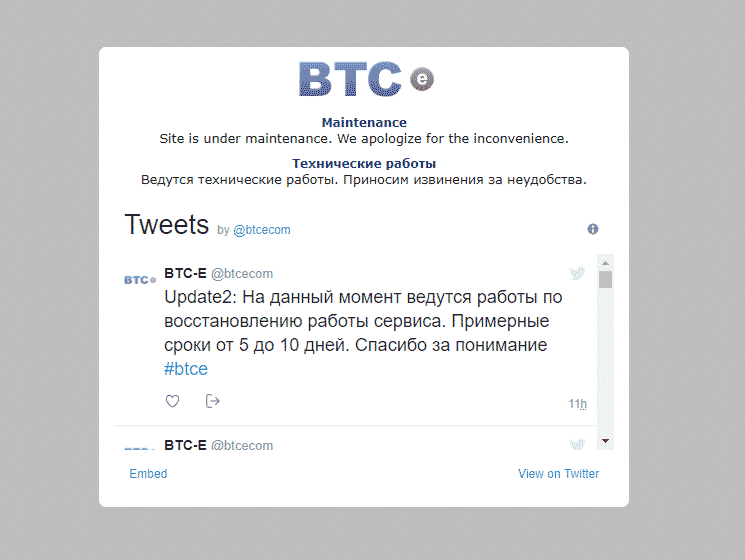 Bad news for clients of BTC-E that were still holding on to hope last week that the arrest of Alexander Vinnik would not permanently affect the Bitcoin exchange. The company’s website, that was previously displaying a down for maintenance message, has now been taken over by US criminal authorities. Similar to when dark web, file sharing and other websites are taken over by the authorities, all the agencies involved now proudly display their seals on the domain. The same agencies, including the Secret Service, Homeland Security, FBI and IRS, were quick to take the credit last week when it was announced that btc-e faces a $110 million penalty for violating US anti money laundering laws. In the past when US authorities got their hands on some ‘illegal’ venture’s Bitcoin wallets, the funds were confiscated and auctioned off – not returned to its original owners. As such it is not at all clear if a process for legitimate BTC-E traders to claim back their funds will be created unless the courts force the agency’s hand – which would require a law suit in the US.